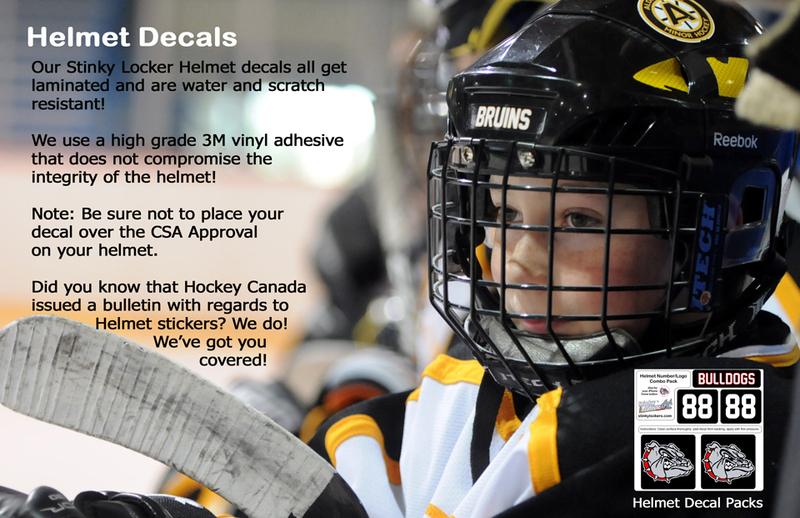 Customize your helmet with Stinky Locker Helmet Stickers. Sniper Set featuring 2 logos, 2 number, 1 team or player name, 1 stick label & 1 idot. OR the Hat Trick Combo!